" Solidifying Peace in Burundi "
This outline has been produced on the basis of the comprehensive proposals developed by each of our 11 coalition partners and submitted to TFF during spring 2004. It forms the basis on which TFF approaches potential donors in Sweden, Denmark and elsewhere. What is important is that each of the projects have been identified by the Burundian NGOs themselves and reflect the needs of the country as it goes through the peace process. The role of TFF has been only to identify connecting points and integrate them with each other and produce this short outline from the much larger project proposals. Thus, we have secured a genuinely Burundian character and stake in all we do in the future in the Amahoro Coalition together. Burundi is moving from a thirty years old ethnic conflict towards peace. This violence has taken thousands of lives. A peace agreement has been signed in Arusha-Tanzania in August 2000 between 17 political parties and armed movements. This agreement was implemented in November 2001 with the implementation of transitional institutions and the alternation power between Pierre Buyoya and his vice-president Domitien Ndayizeye. Two other cease-fire agreements were signed in August and December 2002 between the government ad two armed groups, CNDD-FDD of Jean Bosco Ndayikengurukiye and PALIPEHUTU-FNL of Alain Mugabarabona. The great progress was achieved in September 2003 with the Pretoria protocol regarding the sharing of political and military power between the government and CNDD-FDD of Peter Nkurunziza considered as the important rebel movement. By spring 2004, there is only one rebel movement that is not a party to the peace process. Moreover, there is a lot to do to make the process a success. Infrastructures have been destroyed and the poverty among the population is increasing. The process needs accompaniment mechanisms to prevent it from falling apart. The social fabric torn by many years of violence has to be restored. Peace without human rights promotion and defence can't be sustainable. This is a work and a process in which each individual and all of civil society has to be mobilised and take a leading role. This is the reason why the TFF Amahoro Coalition with 8 leading Burundian NGOs (see Letter of Understanding) has been established to carry out an integrated project with a broad focus on peace monitoring, elections monitoring, human rights protection and promotion, political participation of women, good governance and reconciliation, all with an emphasis on public education and training. The present positive developments in Burundi need international attention and support now rather than later in order to achieve the much needed peace and welfare of all its citizens which is also essential for the stability in the Great Lakes region. In general this project aims to promote peace, reconciliation and the awareness of human rights. In particular the project will contribute to the implementation of the Arusha peace process and cease-fire and to help dissuade ethnic groups from exercising manipulative power over civil society, community-based authorities and the political parties as well as to contribute constructively to prevent human rights violations. An early warning network would be set up in the whole country. Chosen local peace monitors in targeted zones will monitor deeds and gestures, discourses, political messages in particular, propaganda and the mobilisation of the communities at the ground level; through that they will seek to empower and solidify the peace process and to deal constructively with the past as well as with the overall post-conflict situation. In addition a group of designated human rights observers will be trained and thereafter, in cooperation with the peace monitors, work in the field. Parts of the project will address the situation of the Batwa population in particular. The project will enhance the capacity in monitoring the peace process, create a peace awareness and promote a country-wide understanding of human rights and obligations. In addition the project will contribute to the establishment of an early warning system and promote reconciliation. The practical achievements of the project shall lead to identification and education of local peace monitors and human rights observers followed by an expansion of the national network of monitors and observers. a) To assist in the creation of a democratic society free from various types of corruption and imbued with a culture of peace, trust and harmony between the civil society and the governmental institutions as well as among former adversaries. An important part of this project is the use of the African Public Radio (RPA) in broadcasting educational and dialogue-creating programs with a particular focus on the third ethnic group, the Batwa. 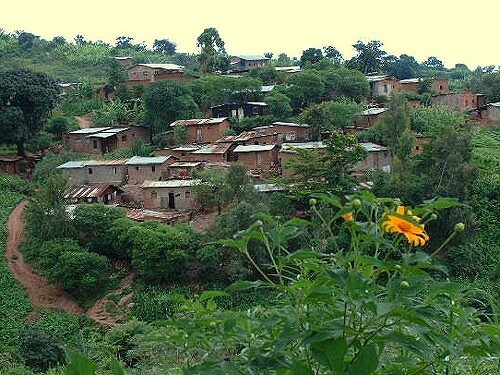 b) To disseminate the activities of the other projects and their aims to all corners of Burundi where at least two-thirds of the citizens live for whom the radio is the only means of public information. Thus, it seeks to reinforce the awareness of journalists concerning their role and social responsibility as well as popularise peace, democracy and human rights in the minds of local citizens. b) Capacity-building seminars, workshops and various types of skills training for about 80 journalists in radio, TV and newspapers on the special roles media can play in the peace process and post-war normalisation, including the ethical responsibilities pertaining to public education. A more understanding interaction between media professionals, civil society and politicians. More unbiased, peace culture-promoting media based on respect for professional and ethical code of conduct and thereby promote good governance during and after the peace process itself. The project will advocate an innovative thinking and theories among decision-makers and citizen alike that will result in a policy based on non-violent politics, economics, sustainability and ethics of care. In addition small workshops will facilitate dialogues and listening that may help in healing traumatic and psychological wounds. This project seeks in general to improve gender equalities through activities by which women can take more part in decision-making, become more conscious of their rights and duties as citizens and, in particular, to prepare Burundian women for forthcoming elections in October 2004. The implementation include development and production of training manuals on the citizens rights and obligations, a program for training of trainers, trainers activity follow-up as well as workshops on post conflict and democratic principles. In addition the project should establish and carry out a national campaign on the election system. It is expected that the project will promote the advancement of women, women's self-reliance, raising of their rights awareness, the promotion of social and economic equality and the creation of a cadre of female mangers. b) to carry through a hands-on activity which aims to encourage local people to make decisions and to take action in reinforcing the cohesion of the rural communities through a development project. a) Workshops and brainstorm on alternatives to violent conflict-resolution, listening skills, local empowerment and setting up peace committees in the hills and in the bush; where possible also to help heal traumas and psychological wounds. b) People's knowledge and skills must be seen as a positive contribution to this project and the overall peace process. Initially the project will focus on the restoration of the peace and development committees in six communities followed by training in project management. The next phase will initiate the development of agro-pastoral projects in six communities and the building of roof tile ovens and brick factories in two communities. Re-start of production activities which will increase the income and standard of living in those rural communities and build confidence and harmony between and among the local communities and former adversaries. This projects employs a holistic approach; it has a start-up phase of 12-18 months and is expected to last for three years with the possibility of extending the Coalition's co-operative efforts, depending on the situation and needs in the country. Through the project the Coalition will significantly contribute to the implementation of the fragile peace process initiated by the Arusha Accord. It will promote knowledge and understanding not only of human rights issues through out the country but also awareness about reconciliation and its importance for a sustainable peace and development. In addition the project will identify and educate a number of peace monitors and human right observers who will contribute to prevent risks of recurring due to the delicate reforms and thus promote the country's unification and reconciliation process. The evaluation will be based on an agreed set of international criteria commonly applied to comparable institutions (e.g., universities and institutes). The parameters for evaluations will be the given objectives, the expected achievements, the supplied and used resources; in addition, it will focus in details on the content, methods of training, materials and measurable results produced. Therefore, each project will be evaluated at the end while the final evaluation will be a joint exercise between the Coalition partners, involved institutions and related governmental organisations. The evaluation of the program's effect on the peace process will be done later and in cooperation with concerned authorities. The project may be financed by domestic resources, by international resources or by private funding. Support can also be provided by international financial cooperation for development, including official development assistance. Initially, it requires start-up money not exceeding 680.000 SEK or about 65.000 Euros.